Alive! contains algae, grass, leafy greens, numerous green vegetables, and countless other nutrient dense ingredients. Digesting nutrients from all-natural sources greatly improves their overall bioavailability. Everyone knows that a healthy diet requires lots of greens, but it’s rare to find a liquid multivitamin with such a high concentration of them. Nature’s Way Alive! contains algae, grass, leafy greens, numerous green vegetables, and countless other nutrient dense ingredients. Digesting nutrients from all-natural sources greatly improves their overall bioavailability. Contains vitamins, minerals, amino acids, fatty acids, digestive enzymes, carotenoids, lipids and more! Algae may not be the most appetizing ingredient, so it is often lacking in the vast majority of American diets. However, the nutritional benefits of algae are undeniable, and well worth adding to one’s dietary intake. This multivitamin contains a strain of blue-green algae called spirulina, and a strain of green algae known as chlorella. Spirulina, and other varieties of blue-green algae, are known for containing significant quantities of lipids, proteins, chlorophyll, carotenoids and other pigments, vitamins, and, in particular, minerals.1 Chlorella, on the other hand, is particularly high in amino acids, peptides, proteins, vitamins, sugars, and nucleic acids. By including both varieties of nutrient dense algaes, Alive! 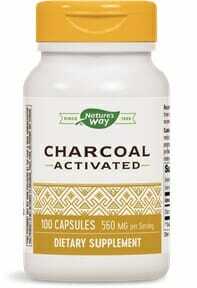 provides natural sources of a wide range of nutrients that the body needs to function at its fullest. Grasses, Leafy Greens, and More! Grasses are yet another food item which may sound less than appetizing, but come packed with extremely valuable nutrients. This formulation contains wheat grass, barley grass, alfalfa, and lemon grass. Each variety offers its own unique nutritional benefits, but in general these grasses are high in vitamins, minerals, amino acids, chlorophyll, and enzymes. Leafy greens and vegetables tend to be more common in the average diet, but their benefits should not be understated. For those looking to bolster their intake of vegetables, or those who struggle to maintain a healthy diet due to work or other interferences, this multivitamin offers extracts from such nutrient dense leafy greens and vegetables as kale, spinach, broccoli, cilantro, and much, much more.